Emilia Romagna is a region of beautiful Northern Italian countryside which runs all the way to the Adriatic in a band across Italy. 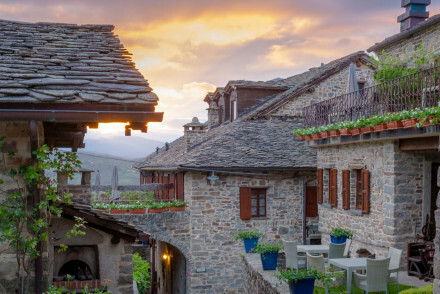 This is an ideal region for a rural escape, with exceptionally good food, enriching rural views and some extremely beautiful towns and cities. Our Guru's picks for the best places to stay in Emilia Romagna includes a fantastically varied range of accommodation, from charming but inexpensive farmhouses-turned-argiturismos to minimalist hotels owned and designed by fashion houses, and luxuriously converted hunting lodges to five star beach hotels. Once the Roman road, the Aemilia, ran through this green and gently undulating part of Italy, between the River Po and the Appennines, and that’s where the name came from. Emilia Romagna might also be known to you as the home of both Ferrari and Lamborghini, of Parma ham, Parmigiano Reggiano and balsamic vinegar, of the Adriatic Riviera, of Verdi and Pavarotti, of Italy’s largest theme park and of numerous Heritage Listed churches, abbeys, palaces and piazzas. Obviously the food is a huge draw for Emilia Romagna, but the countryside is impossible to export, and is less well known. We all know Tuscany is beautiful, but the Tuscan Romagna region, roughly between Florence and Forli is one of the most unspoiled partsof Italy with some wonderfully peaceful hilltop villages and the Parco del Casentino, one of the most important woodland reserves in the Appennine Mountains. Parma with its food, fashion, beautiful old cobbled streets and dramatic architecture is a great city break option. Most of Parma's highlights are within a leisurely walking distance of the centre of town, with just a little more effort required to reach the attractions on the far side of the river. You'll find cycling is popular, so join in if you fancy. Otherwise just admire the attitude of folk who'll cycle in Prada. 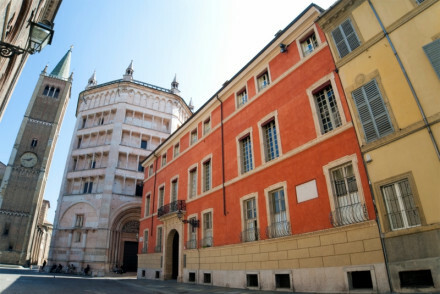 Modena and Bologna are also good possibilities, Bologna with its artistic centre and its beautiful towers and porticoes, and Modena for its medieval and renaissance architecture and World Heritage Listed centre. Ravenna too is perfect for a short break - it's home to Italy's most astounding collection of mosaics scattered amongst unassuming looking churches and baptistries with histories dating back to the 4th century. Ferrara, about 50km north of Bologna, embodies Renaissance Italy. There's magnificent palazzi and stunning art collections to be seen, and it's a quiet spot as most of the crowds head to its more famous neighbours (Bologna or Venice) instead. Or, if you fancy a beach break then Rimini, on Italy’s Adriatic Riviera, might be ideal. This is a very Italian resort, but also a historically significant spot too, known for its Roman relics and excellent food. Or you could look at Cesenatico, to the north of Rimini, also a long time favourite of the Italians. Famous for its canal and port designed by Leonardo da Vinci, it boasts lovely sandy beaches, and a good array of cafes nestled amongst the historic buildings. 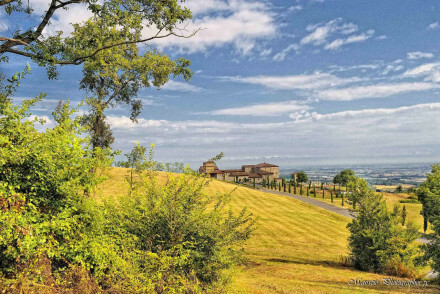 Don't forget that as with most of Italian properties, the best places to stay in Emilia Romagna will be much busier during the peak summer months. So if you want to guarantee a room in the best hotels, get organised and book early. In the hills outside Parma, almost on the border with Liguria, Borgo Casale is a wonderfully rustic, but still chic, hotel with 16 charming rooms - some with lovely balconies. There are also great spa facilities and a modern restaurant. Rooms start from around £90 per night. The Locanda Del Re Guerriero is a chic castle hotel surrounded by rolling countryside. Inside the 12 rooms are elegant and modern, there’s a library and numerous stone fireplaces and lovely antiques and art. Outside there are spectacular views. i quattro passeri is just back from the coast on the eastern side of Emilia Romagna, a six room country house hotel with lovely original original features, like stone wall and floors, exposed beams and Romagna furnishings. There’s also a large garden with a pool and spa. The Borogo Conde Wine Resort is a ‘wine making resort’, complete with 38 luxurious suites and villas surrounded by 110 glorious hectares of vineyards. As well as having plenty of wine, this resort is also perfect if you enjoy walking, cooking or spa treatments. 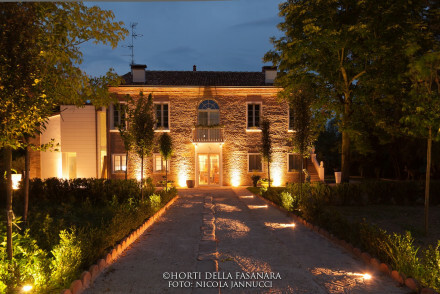 Antica Corte Pallavicina is an elegant, 14th century castle with just six rooms. The atmosphere is charming, the setting rustic Parmese and the furniture antique. There’s also a Michelin starred restaurant serving ‘home grown’ food, and offering cooking classes and cellar tours. Owned by the Ferretti fashion house, Carducci 76 is a chic, minimalist hotel right on the beach close to Rimini. There are 38 rooms and suites - all with large bathrooms, plus an excellent spa and two fabulous restaurants. The I-Suite Hotel in Rimini’s Central Marina, is an ultra-modern, five star, seafront hotel with a top-floor spa overlooking the harbour. The 54 bedrooms all have large windows and many have their own balconies. This is a fun and lively place to stay, and your’e close to numerous bars and restaurants. 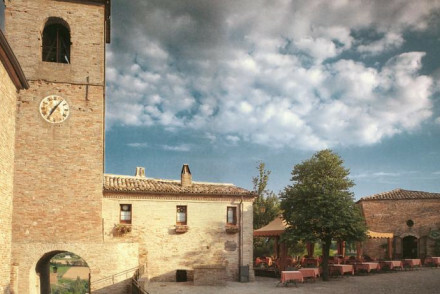 The Antico Borgo di Tabiano Castello is a wonderful castle just outside Parma which has been converted into a 40 room hotel. Rooms are traditional, elegant and romantic, with marble floors, stone walls and exposed beams. Plus there’s a Turkish pool and spa and stunning views. 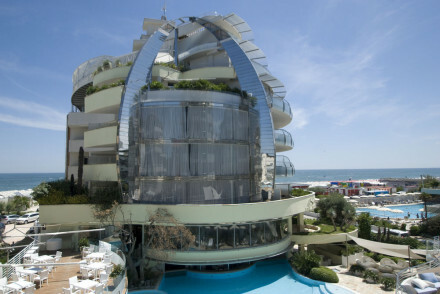 Carducci 76 is a chic, cosmopolitan beach hotel, owned by the Ferretti fashion house. The decor is international, with a feeling of Zen minimalism and a touch of Africa. There are 38 rooms, two restaurants and an excellent spa. The Hotel Posta is more than five hundred years old, and its 38 rooms all have their own character and decoration - including original frescos in some cases. If you love parmesan then this is the place for you! I Portici is excellent value, considering its Michelin star restaurant and grand grey and pink facade - sheltered by the vaults of Bologna’s famed arcades. There are 89 extremely stylish rooms. The Antico Borgo di Tabiano Castello is a castle-turned-hotel, nestled into the hills of Parma. Elegant throughout, with stone walls, marble floors and exposed beams, you also have stunning views of the valley, so it’s charming inside and out. 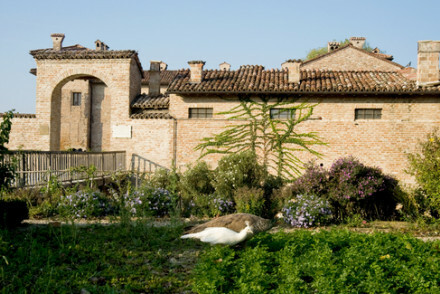 The Horti della Fasanara is a renovated hunting lodge on a beautiful estate just outside Ferrara. The four rooms and suites are luxurious, in a minimalist style, and very romantic, but they start from just €120 per night. 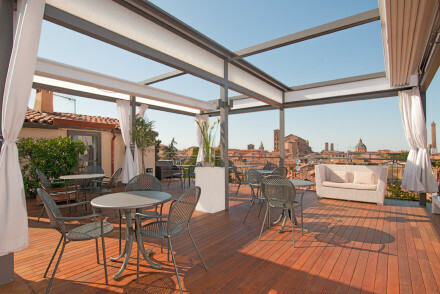 Ravenna’s Santa Maria Foris is a charming B&B in a wonderful old town location. There are just six spacious, luxurious, elegantly furnished rooms which offer great value. 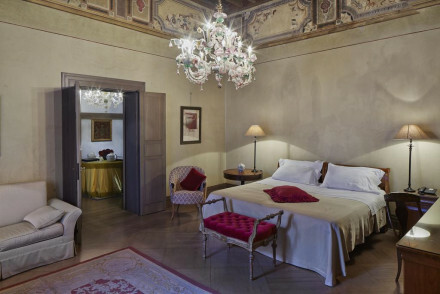 Exuding elegance and charm, the Antica Corte Pallavicina is a 14th century castle turned six room hotel. Special and intimate, with a sublime, Michelin starred restaurant which uses ingredients produced onsite, this is a real rural gem, and a great place to hone your cooking skills, or just eat really well. The Locanda Antiche Macine has been charmingly converted from a 17th Century olive mill into a traditional collection of eight rooms and apartments. You're off the coast here, with beautiful views of the Montalbano countryside, and a garden filled with walnut and olive trees. As well as being an idyllic base for walkers, this hotel also offers wine tastings and cooking classes. The Design Hotel Waldorf is right on the beach in Milano Marittima and has some incredible views from its 34 rooms and suites. The decor is chic and modern and there’s a big spa with lots of treatments and facilities on offer. Upmarket but also family friendly. 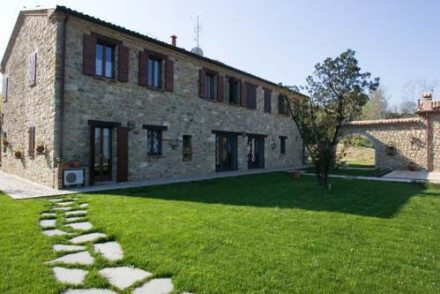 The Locanda Solarola is a large farmhouse conversion surrounded by parkland. The decor is cosy and traditional, and there’s a well respected restaurant. This is a great spot for large groups as there’s plenty to do. 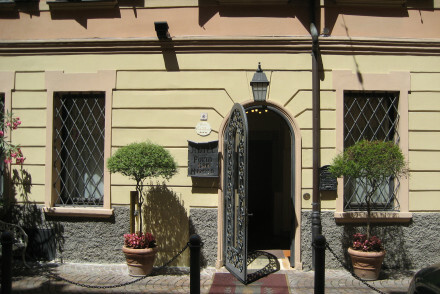 The Palazzo Dalla Rosa Prati is an elegant, 11 room guesthouse in the heart of Parma. The rooms are traditionally, and colourfully, decorated, and some are large enough for a family. CasaDodici overlooks the Leonardo da Vinci Canal in Cesenatico, and has five smart rooms with excellent canal views. You’re close to the beach and it’s quiet and quite romantic. 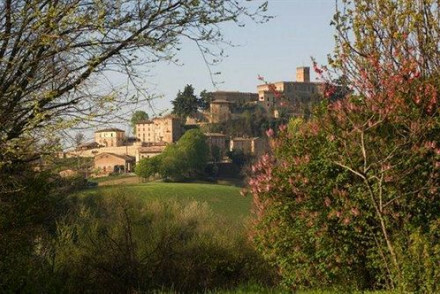 The Palazzo Vivani is a beautifully converted palazzo in a picturesque, medieval hilltop village in the Valcona Valley. It has just eight spacious, elegant rooms with fantastic views of the surrounding countryside, but they’ll do you an evening meal on the charming terrace if you fancy it - they also serve breakfast here. Rooms start from around €106 per night including breakfast. 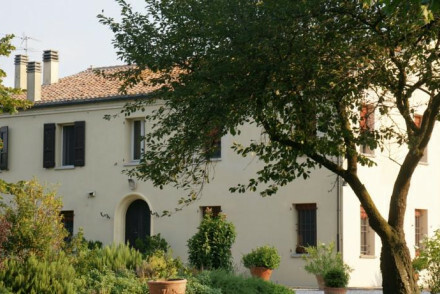 The Agriturismo alla Cedrara is a sandstone farmhouse just outside Ferrara with lovely spacious rooms and suites, all with stone floors and beamed ceilings. This is an idyllic spot for walkers or exploring the local region and there are great breakfasts! 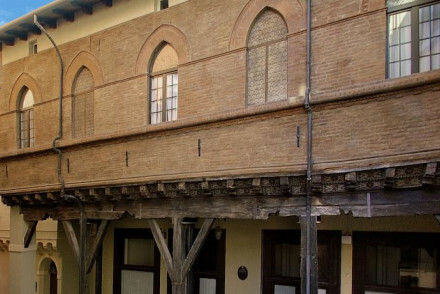 The Locanda del Feudo in Modena is a traditional home with high ceilings, exposed wooden beams and elegant furnishings. The suites are large and you’ve access to all the mod. cons., plus an excellent restaurant and extensive wine cellar. M Club is a 15th century treasure in the heart of Ravenna’s pedestrianised area. The rooms are elegantly, and traditionally, decorated, and there are some lovely antiques. There’s a generous buffet each day. Depending on your itinerary, you’re probably most likely to fly into Bologna Airport, but Parma International Airport is a useful hub if you don’t mind changing flights, or you’re flying internally within Italy. Bologna is on the high-speed train routes of both Trenitalia and Italo, which makes it very easy to get to from other major Italian hubs and cities It’s also fairly well connected to the regional rail network, so it’s really a useful hub. Summer is warm and popular in Emilia Romagna, so if you fancy something cooler and less busy consider the shoulder seasons: May and September, which still promise lovely weather - a bit cooler too. 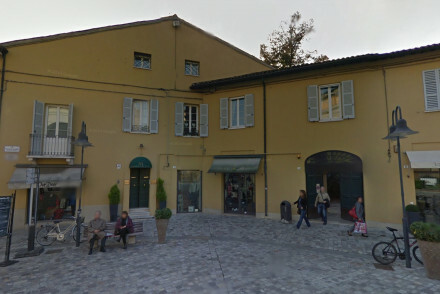 or the best places to stay in Ravenna? A sandstone farmhouse just outside Ferrara. Lovely spacious rooms, suites, and triples painted in creams with wooden beam ceilings, stone floors, and walk out terraces onto the garden. Good breakfasts, family friendly, and excellent value for local exploring. Value chic - Excellent value. 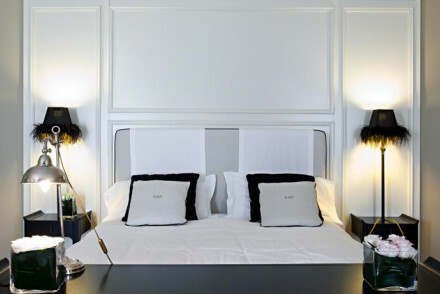 A superbly chic cosmopolitan hotel owned by the Ferretti fashion house. Set on the coast, near Rimini, a popular beach spot. Minimalist interiors have Japanese Zen and hints of Africa. Sumptuous rooms and suites have large bathrooms, excellent spa treatments, two fab restaurants. City Style - Seriously cool cosmopolitan interiors. Designer - The hotel is owned by the Ferretti fashion house. A traditional hotel in a converted 17th century olive mill. Rooms and apartments have antique pieces, wooden floors and views of Montalbano countryside. 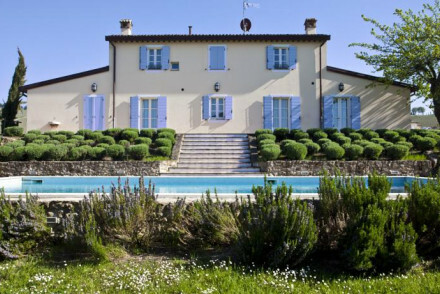 Pool, tennis court and gardens filled with walnut and olive trees. Speciality dishes from the Emilia Romagna region. A charming spot for a family. Charming B&B in the heart of the Ravenna's old town. The rooms are spacious and luxurious, with elegant furnishings. Ideally located for exploring Ravenna's Roman and Byzantine rich culture with highlights such as the Galla Placidia Museum just a short stroll away. Sights nearby - Five minutes walk from the Basilica San VItale and Piazza del Popolo square. Sailing - Perfect stopping point for a sailing trip around the Adriatic coast. A traditional house filled with romance and rustic charm. Large suites have high ceilings, wooden beams, elegant furnishings, and all the mod cons including DVD players. An excellent traditional restaurant and extensive wine cellar. Plenty to explore, including the Ferrari museum. Sights nearby - Rocca di Vignola, Ferrari Factory, and Ferrari Museum. 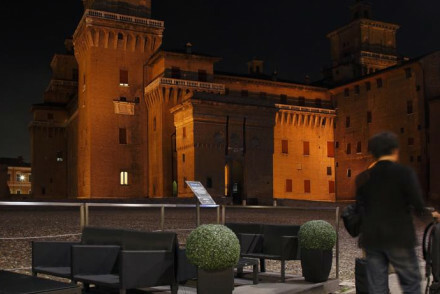 A delightful stay in the historic centre of Reggio Emilia in a five hundred year old hotel. Every room is individually furnished giving each persons stay a distinctive feel. The rich heritage of the place is exemplified by original frescos on the hotel walls. One for all the parmesan lovers. Local markets - Perfect for exploring the streets and markets of Reggio Emilia. Sights nearby - Visit the production sites of Parmigiano Reggio. Overlooking the Leonardo da Vinci Canal, CasaDodici B&B features smart, individually decorated rooms with fantastic views. Quiet, intimate, chic and with the beach nearby-perfect for a romantic getaway. A wonderful continental breakfast is included in the rate. A great, well-priced stay. Romantic Break - Elegant rooms, long walks on the beach and fantastic meals at the restaurant-perfect for a romantic trip away! 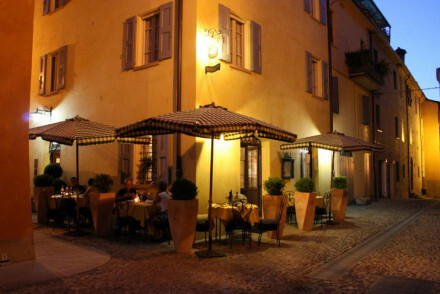 Le Dimore del Borgo offers apartments and suites centrally located in the historical town of Lucca. The rooms are spacious and bright, featuring parquet flooring and modern white furnishings. With chefs, interpreters, baby sitters and personal shoppers all on call, nothing has been missed. Fifteenth century edifice situated in Ravenna's pedestrian area. 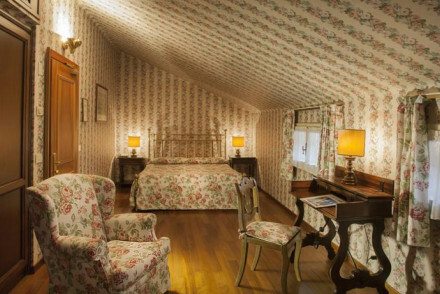 The rooms are elegantly and traditionally decorated with lovely pieces of antique furniture. Wake up each morning to a generous buffet breakfast before exploring the city-a quaint and charming spot that's great value for money. A rustic chic hotel in a rural location. Charming rooms have a cottagey feel; wooden beam ceilings, pastel colours, and adorable little balconies. Fabulous spa facilities and a traditional restaurant that serves modern cuisine. Ideal for couples on spa breaks. Spa breaks - Fantastic spa therapies a la carte and by weekend package. A delightful and quiet country house. Unique rooms with original details: exposed beams, stone walls and Romagna furnishings, some with kitchen areas. 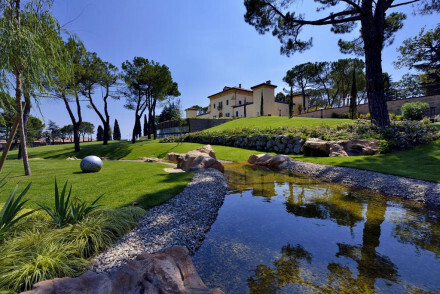 Large gardens, outdoor pool and spa area to relax in. Perfectly located for exploring the area and its sights. An ideal choice for a country escape. Sights nearby - Rimini, Ravenna, Forlì, Cesena, San Marino, and the beaches of Riccione, Cesenatico, Cervia and Milano Marittima. Palazzo Viviani is a converted medieval hilltop village in the Valcona Valley. It features elegant, spacious rooms and boasts fantastic views of the surrounding countryside. Enjoy a buffet breakfast and an evening meal out on the terrace. A delightful and well-priced stay. 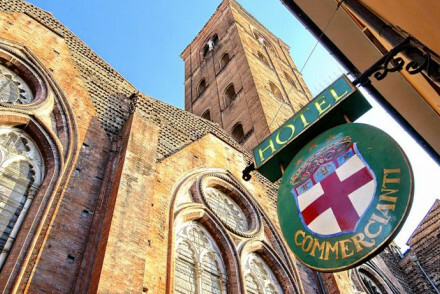 If you're looking for peace, quiet and value for money only a stone's throw from Bologna's historic heart, this small and at first sight unassuming family-run hotel fits the bill. Traditional hotel from 19th century in city centre. Romantic rooms have chandeliers, high ceilings and antiques dotted throughout. Excellent authentic Italian cuisine in the restaurant and a lively wine bar. Historic, central and wonderful service. A 5 star seafront hotel with ultra-modern design, a unique outdoor pool and top floor spa with stunning sea views. Bedrooms have large windows and many have balconies. The restaurant serves local specialities and large breakfasts. Great for a lively beach break! 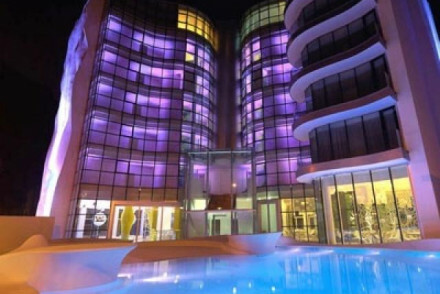 Spa - Fabulous spa on the 6th floor with infinity pool, saunas, turkish bath and much more. 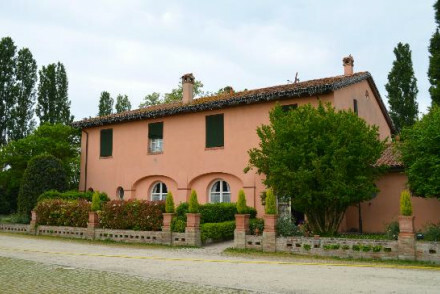 Located in a quiet location ten minutes outside Bologna's centre. Featuring spacious, elegantly decorated rooms with period wallpaper and exposed beams. Be sure to enjoy the buffet breakfast served each morning before going off exploring. An intimate and traditional city spot. Behind its very grand grey and pink facade, sheltered by the vaults of Bologna's famed arcades, (from which it takes its name) I Portici looks promisingly stylish from the moment you enter its huge, atrium-style lobby. Surprisingly good value for money and very convenient for exploring the city. A hotel with a wow factor. A renovated hunting lodge on a castle estate. Surrounded by beautiful parkland and slightly set back from the Renaissance city Ferrara at its gates. Luxurious rooms and suites with mezzanine levels are minimal chic with four poster beds and all the mod cons. Very romantic. Romantic Break - Beautiful surroundings and very luxurious interiors. Garden - Surrounded by 2.5 acres of stunning parkland. 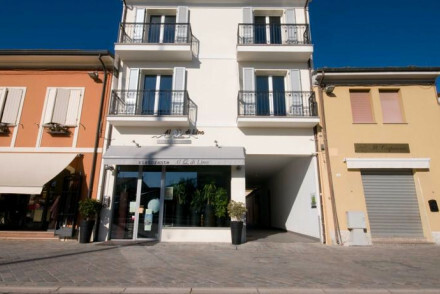 Situated in Ferrara's pedestrian area just a short distance from the city's sights. Their rooms and suites have a contemporary design, en suite bathrooms and some have views of the castle. A smart and central base perfect for experiencing all the city has to offer. A chic castle hotel in the rolling countryside. 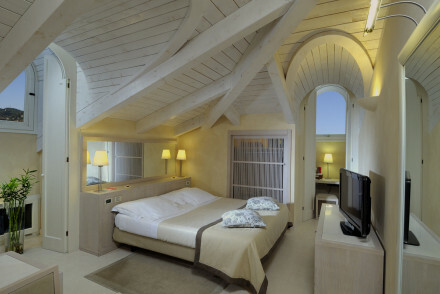 Rooms are elegant and modern with wooden beams, soft drapes and chandeliers; suites split across two levels. Gardens with modern art pieces, a library, stone fireplaces, and antiques. A great choice for an escape to the countryside. 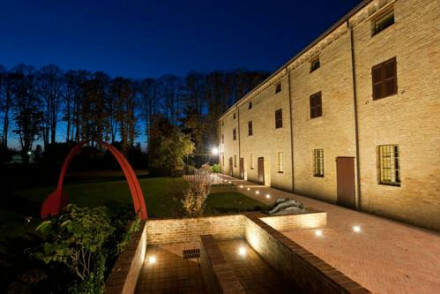 An immersive experience that transports you into the culture and traditions of Emilia Romagna wine making. The resort is fitted with luxurious suites and villas surrounded by the sublime beauty of a 110 hectare vineyard. Indulge in signature homegrown wines and enjoy the lovely Forli vistas. Foodies - Treat yourself at this 110 hectare working vineyard in Fiumana with three fantastic restaurants. 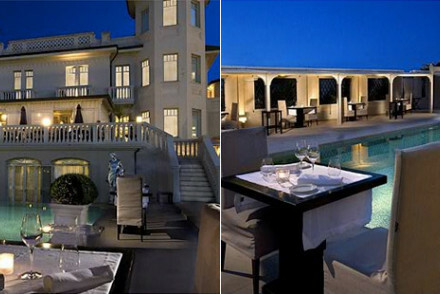 Romantic Break - With plenty of wine, walks and spa treatments this chic resort is an ideal escape for two. Cooking classes - Make the most of your time in this foodie region and take part in the traditional Italian cooking classes. Great walks - The beautiful rolling landscape of the surrounding wine region, is ideal for walking. Design Hotel Waldorf boasts a beachfront location in Milano Marittima. Its rooms are decorated in a modern and chic manner whilst the suites themselves are incredibly luxurious and spacious. Unwind in their extensive spa facilities or spend the afternoon by the pool bar. An upmarket seaside stay. 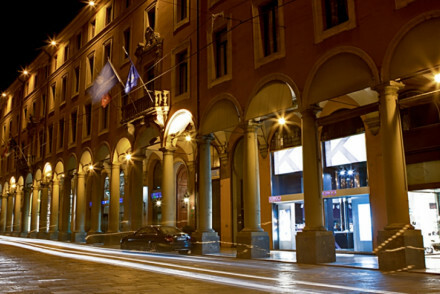 This luxurious hotel is situated in Bologna's city centre a short distance away from the sights. It features beautiful, elegantly decorated rooms and suites whilst the communal areas have stunning traditionally Italian decor. Make use of the free bikes to get to know Bologna. A classy city stay. Elegant 4-star hotel in the medieval hill-town of Pigazzano. 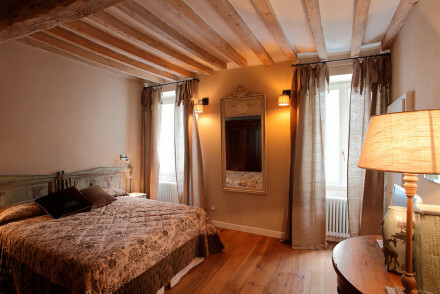 Combining rustic charm with a refined decor, the rooms have exposed beams, antiques and artworks. Ideal for guests looking to soak in the region's history. There is a restaurant, bar, winery, outdoor pool with panoramic views and a spa. Local exploring - Everything from exploring the hilltop castles that dot the countryside to tasting local wines. Swimming Pool - There is an outdoor pool with panoramic views and an indoor pool in the spa. Sights nearby - Rivalta Castle, an 11th century castle, is only 8km away. A characterful property located in the heart of Bologna. Individually styled rooms are traditional in style with beamed ceilings, chintz fabrics and some feature frescoes. Hearty breakfasts served. An ideal base for city exploring. Local exploring - Located right in the heart of Bologna and bikes are even provided to make city exploration even easier. Local markets - Wander the streets of the Quadrilatero, the medieval market, where you can sample local delicacies. 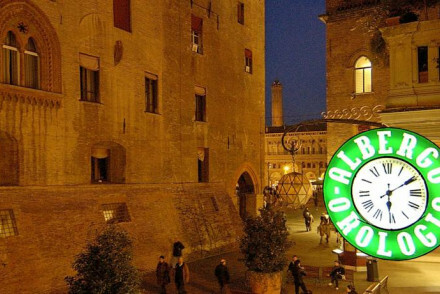 Sights nearby - Located next to the San Petronio Basilica and the Fountain of Neptune. Cooking classes - Learn how to make regional dishes at “Il salotto di Penelope”. A sprawling resort and spa located in pristine countryside just outside of Bologna. Spacious rooms are simply styled with floor to ceiling windows, indulgent bathrooms and crisp white linen. A spoiling spa is the real draw with top of the range facilities and a Japanese Onsen. Exuding elegance and charm, this 14th century castle is a special and intimate experience. Its rooms are adorned with antique furniture and its atmosphere matches the rustic Parmense surroundings. The sublime Michelin starred restaurant uses ingredients produced on the farm. A rural Italian gem. Romantic Break - This traditional farm with a contemporary twist is an idyllic setting for couples to enjoy the beauty of the Parmense lowlands. Foodies - Cooking classes with the master Massimo, tours of the cellars packed with maturing cheese, and a Michelin starred restaurant. Great walks - Wander around the lovely farm and learn about how they produce their world famous salami. Cooking classes - Traditional Italian cooking classes are offered with Massimo. Art Hotel Novecento enjoys a great location right in the centre of Bologna, overlooking a quiet, largely traffic-free square. Individually decorated rooms are styled in a contemporary fashion whilst some include their own private balconies. A conveniently located and hip spot for a city stay. An excellently located property in the pedestrianised area of Bologna. Individually designed rooms, traditional in style, with typical Italian opulence. Heavy draped curtains, warm hues and large sash windows. Bicycles for hire to whizz around the city. An ideal base for exploring the city. Local exploring - Well situated overlooking Bologna's historic centre and walking distance from many of its sights. Sights nearby - The Piazza Maggiore and Clock Tower are just steps from the hotel. 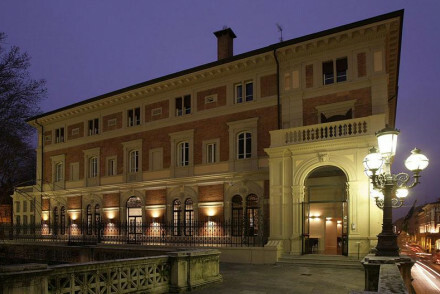 This velvet-lined 18th century palace is situated right in the heart of Bologna. Rooms and suites are decorated in an opulent, elegant manner and some adorned with unique frescoes. The restaurant serves traditional regional dishes and has an excellent wine list. An upmarket stay. Local exploring - Being only 800 feet from Piazza Maggiore and Bologna's Two Towers there's no excuse to not indulge in a little sightseeing! A large farmhouse conversion in the countryside surrounded by parklands. Traditional cosy interiors, charming rooms and suites, swimming pool, highly rated Italian restaurant, and plenty of outdoor activities. The perfect spot for a country escape. Groups - It's an excellent spot for large groups as there are lots of activities on offer. Foodies - The restaurant is highly rated in Italian guides.